I picked my one and only pumpkin today. I haven’t pulled the tomatoes yet but I’ll be gone on business from Sunday to Thursday so I think that perhaps Saturday will be the day. I am sad that the garden didn’t produce more but there is always next year. 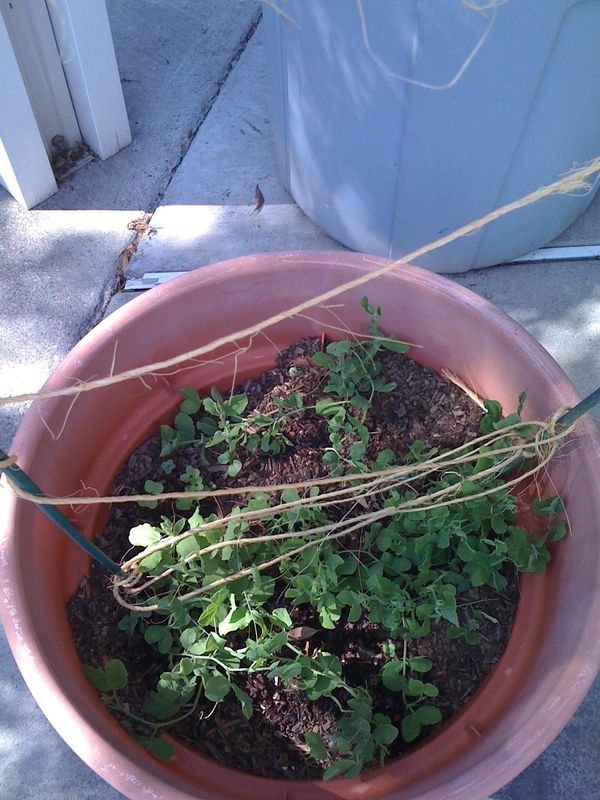 Well, actually I’ve started a fall/winter garden so maybe I’ll get some good greens. It’s been a long time since we’ve had rain here. It was delightful to smell the air after the rain and I think my garden was happy too. 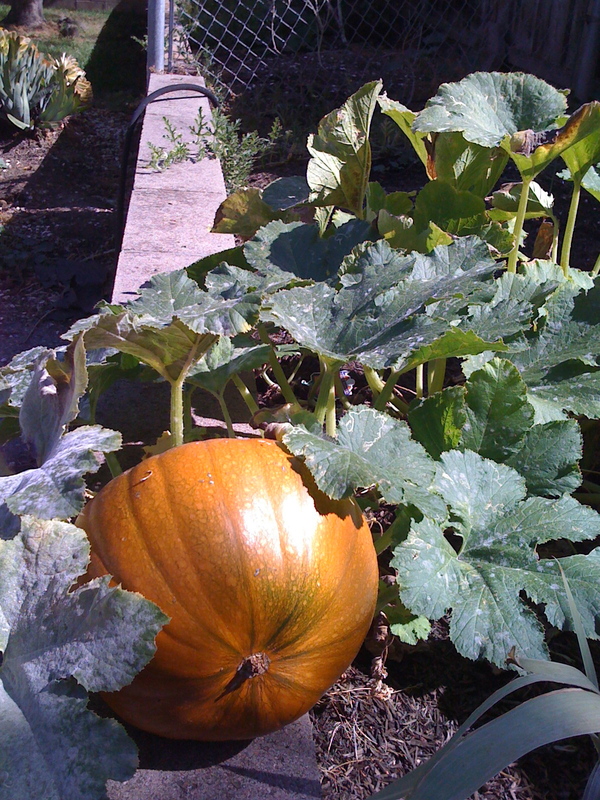 My one pumpkin is almost ready having just a bit of green left to turn. I was disappointed not to have more than one but that was more than my melon patch. I moved the spot for them this year and I guess the melons didn’t like it. There was plenty of room and water so I’m not sure what the problem was. Bad seeds? 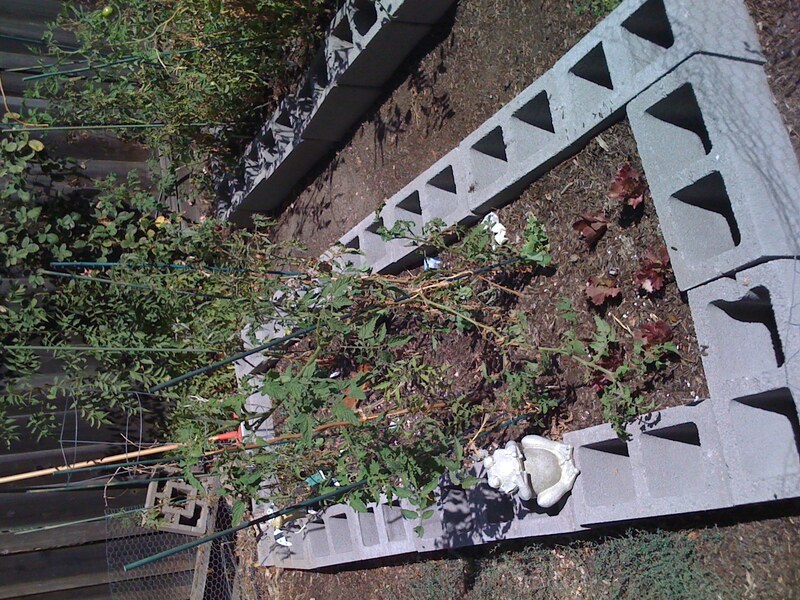 Not enough compost/fertilizer? My pictures are not so hot, but the need to document makes me add them anyway. 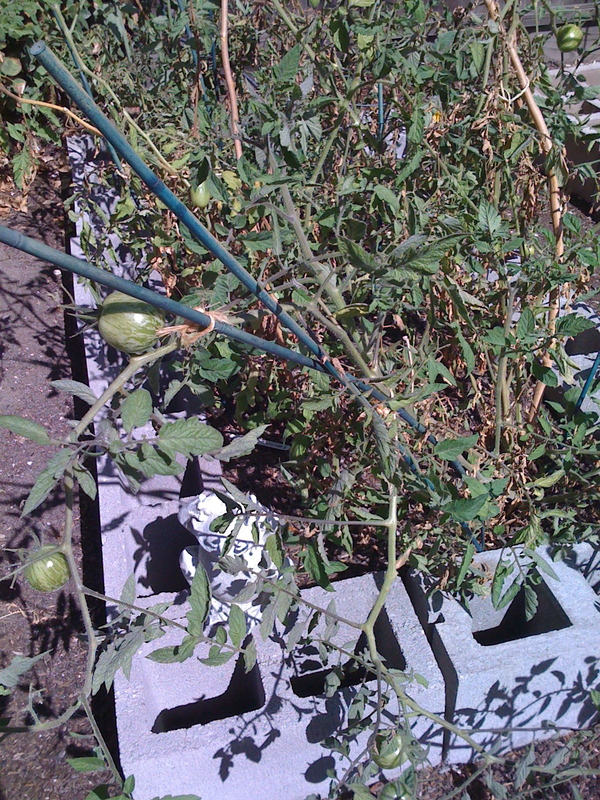 First one is of the main tomato bed. Not a lot of red yet and time is running out.